Last minute entertaining made easy with Five Tastes make at home meals! Looking for a long weekend activity that encapsulates all that is great about Sydney? This extraordinary seafood dish is a crowd favorite. It is easy to prepare, it cooks very quickly, you will need to have all of your equipment ready. 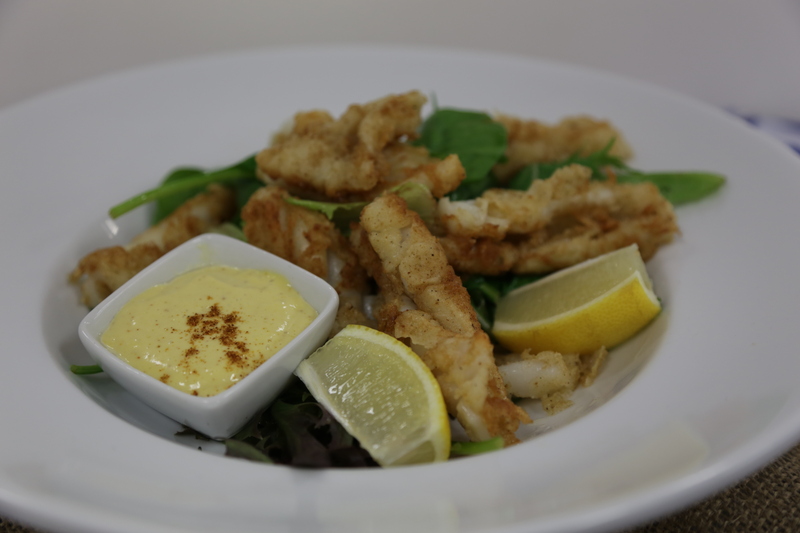 Salt ‘n pepper squid is suitable for an entree or main it can even be served as a canape! Most seafood outlets will sell the squid clean or clean it for you. Cleaning squid isn’t complex, it can get a little messy. To get your squid to curl make sure you score the inside. 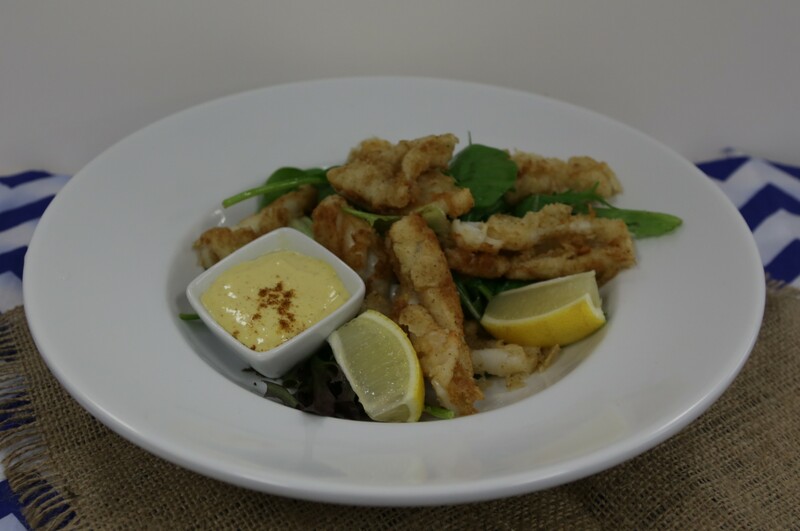 Pieces can be cut into the size of your choice, I usually aim to cut a squid in half and to get 5 pieces from each half (10 per squid) this is a substantial portion when served with salad/fries. If you are making a large quantity, line a tray with baking paper and pre heat the oven to 140C to keep squid warm, this is a handy trick if you are preparing the squid for a dinner party ! The homemade aioli is moorish and surprisingly simple, made with a hand held blender and a tall narrow jug in a couple of seconds ! Cut each squid hood in half lengthways. Using a sharp knife score inside in a criss-cross pattern. Cut each piece in half lengthways. Cut each strip crossways into 4 pieces. Pat dry with paper towel. Heat 1cm of vegetable oil in a wok or frypan over medium-high heat. Combine flour, pepper, salt and chilli in a shallow dish. Lightly toss squid in flour mixture, shaking off excess. Cook, turning, for 2 minutes or until light golden. Serve with salad greens and lemon wedges. Crush the garlic extremely well, then add the egg yolk and salt. Whisk together until well combined. Add olive oil and garlic into a jug, pulse with a stick mixer until garlic is pureed. Add remaining ingredients, turn the stick mixer on whilst it is submerged and pull the stick mixer towards you slowly. The aoili is done !